Fujitsu has announced that its plans to bring fibre optic next-gen internet to 5 million UK homes, with the communications giant working with Virgin Media, TalkTalk and Cisco. The collaboration will see Fujitsu build what it is calling "ground breaking and innovative alternative to BT Openreach"
Virgin Media and TalkTalk will offer wholesale products via the network, and it will be opened out to other service providers. Communication Minister Ed Vaizey said: "Superfast broadband is already helping businesses grow and improving the lives of those able to access it. But many rural and hard-to-reach areas are missing out. "The whole of the UK should be able to share in the benefits of broadband and we are determined to make that happen by the end of the Parliament. That is why the Government is investing over £500m in taking superfast broadband to everyone. "I am delighted that Fujitsu along with Virgin Media, TalkTalk and Cisco share the Government's vision. The collaboration between these companies was exactly the sort of ambition and innovation the Government wanted to stimulate by removing barriers to broadband rollout. "Fujitsu and their industry partners are pledging a substantial investment in the UK and it represents a deep commitment to the future success of this country. "Creating this superfast broadband network will help improve the economic and social prospects of the homes and businesses where high-speed internet access remains just a dream." 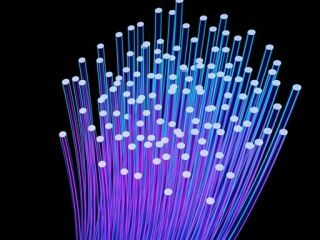 Fujistus's network will see them running fibre to the home (FTTH) rather than to a local cabinet which means that the network is one gigabit per second symmetric capable from day one, with the potential to go to "10Gbps and beyond." "The plans rely on the remedy imposed by the regulator Ofcom, on BT Openreach, to provide access to its underground ducts and telegraph poles on fair, reasonable and non-discriminatory terms," added Fujitsu.